"Hey boy, where's your girlfriend? She needs your attention." 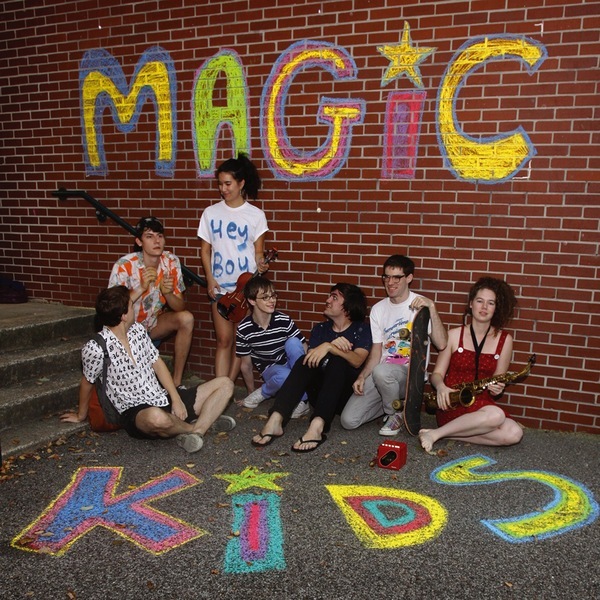 So starts this luminous piece of pop architecture - the work of a bunch of Memphis based youngsters billing themselves as Magic Kids. The verses are sublime early '60s bubblegum with a faintly festive feel to them, but by the time the chorus kicks in, 'Hey Boy' becomes downright majestic, sounding like a pre-pubescent Roy Wood doing his best Phil Spector impersonation, arranging horns, tuned percussion and garagey clatter in a fashion that makes you wish Vivian Girls were more like this.